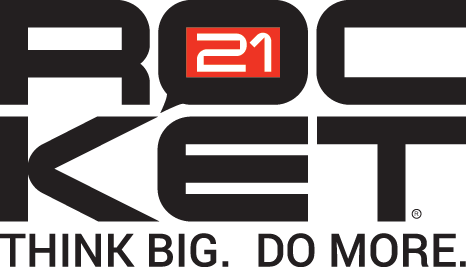 Rocket21 Dream Green 2014 Winners! Our judges' heads are spinning from reviewing the amazing entries in our Dream Green 2014 Competition. We're excited to announce our winners - and also to share that we actually added EXTRA prizes - so that we could recognize some truly inspiring passion - creative innovation - and all around great entries. Brittany has a dream to become a sustainability expert, and has been working since she was very young to study, find mentors to learn from, and get involved by volunteering and leading. At 17 - she already qualifies as an environmental activist, evangelist, and emerging eco-hero for the planet. "My activism work towards a greener community started at the tender age of nine. 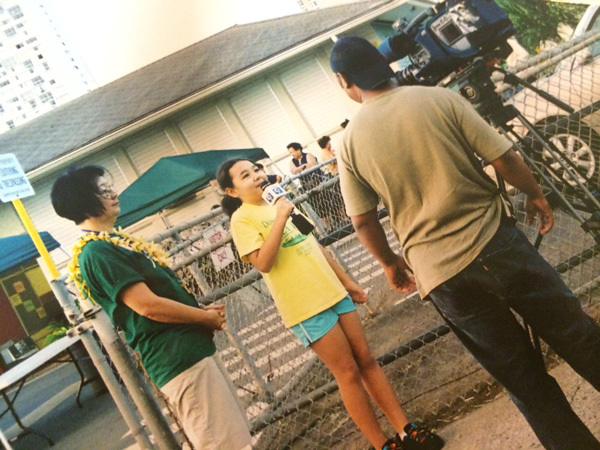 Here I am, talking to a news reporter, about a community recycling drive as a fourth grader. I encouraged local businesses, students, and neighbors of our school community to donate their recyclables to our school which we then traded in for money to donate to the local homeless shelter. I have also organized healthy cooking demonstrations where we taught parents and students at the local elementary school how to cook nutritious meals using healthy ingredients. We have also done this at low income housing complexes and gave everyone a bag of fresh local produce to take home with them." Tommy seems to ALWAYS be thinking about ways to improve the environment. Whether by brainstorming new ways to clean the ocean; raising money to support environmental projects; or working and volunteering to learn more and make a difference, Tommy is well on his way to becoming a true super-hero for the planet. Here's a video Tommy created - one of 8 other entries he submitted. This one to educate fellow students about the plight of wild wolves in the Greater Yellowstone Area. "I have had experience in the field of fish conservation. In August of 2013, I worked with the Aquatic Resources Coordinator for Turner Enterprises on Ted Turner's Flying D Ranch outside of Bozeman, Montana. I collected measurements and other varieties of physical data as well as conducting population surveys for the Westslope Cutthroat Trout. My previous science teacher was very interested in fish and encouraged my passion. The issue regarding Atlantic Salmon was brought to my attention by a classmate at the school where I now attend. Dams pose an insurmountable obstacle to countless species of freshwater species. Populations can be isolated and habitats can literally be cut in half. For migratory species, the construction of dams creates a more pressing issue. Dams block these species from reaching their spawning grounds. Atlantic Salmon are affected in particular. These fish, who are related to the salmon found in the Pacific Ocean, have previously suffered from overfishing, with their numbers plummeting from 4 million in 1979 to a mere 700,000 in 1990. Luckily, due to ongoing efforts from the scientific community in the area, the Atlantic Salmon was spared from extinction and its population is slowly increasing. However, a huge factor in its slow recovery is the fact that many of its former breeding grounds have become inaccessible due to dams that were put in place to provide power to surrounding communities. My idea is to create a migratory fish-friendly dam as a compromise between the salmon and the communities in need of power. To prevent the salmon from entering the turbine and being killed, a porous fiberglass plate would be placed in front of the tunnel that connects the two sides. Instead, another tunnel would be put in place below that would be specifically designed for the safe passage of fish between the water above and below the dam. In order to entice the salmon to enter the proper tunnel, the entrance would be lined with a shiny, colorful, fish-friendly paint, which has been proven to attract salmon." At age 12, Benjamin is an accomplished aquarist, with a deep passion for preserving marine life and the world's oceans and rivers. Benjamin has been involved in numerous projects to preserve wetlands in his community and state and has generated many ideas for tools and inventions to help preserve the planet's water resources. "The life span of a flame angel fish in captivity is usually around 6 months. The life span of a flame angel fish in the ocean is around 4-6 years. WHY? Cyanide bombing! This is the cruel method of collecting tropical fish. Cyanide bombing is used all over the world to collect fish for the aquarium trade. Cyanide bombing is the process of spraying cyanide, a poisonous chemical, onto a school of fish, stunning them so that they can be captured easily. However, it shortens the life span dramatically of the fish and ruins their health. Also, it kills coral reefs! Since the demand for fish is not going away, I would like to find a natural substance that would allow for a quick and less-stressful collection of fish. It is very important that coral reefs do not get harmed in the process. Much research needs to be done to make this a reality. I have made it my personal responsibility to make people aware of the harmful practice of cyanide bombing. Something different must be done to protect marine life! Hopefully, my message gets across to scientists that can solve this problem! I was a part of a team this past year that reinstated a recycling program at my elementary school. The manpower required for the recycling project caused problems, and therefore, the school quit its recycling. However, I realized the importance of recycling to my school and community. A team was formed, comprised of 1 teacher, a few other students, and I to take on this project. We placed recycling bins around the school, raised awareness, and took the bin contents to the local recycling center. Another way that I am helping to make a difference is by supporting and raising awareness for the Soil and Water Conservation District of Wilson County, North Carolina. I have made posters and power point presentations to go along with the District's goals and messages. Recently, I made a power point presentation on the importance of wetlands and the need for conserving them. There are several wetlands in my community. One reason that it is important to me to save them is because of their wildlife and beauty, that would never be found in the city." There were no qualified, eligible entries from which to select Regional Grand Prize Winners for this competition. Additional Prizes were added as shown below - to recognize high-rated entries from other competitors. Newly added prizes will be awarded to these entrants: $250 in cold, hard GREEN CASH - plus a Rocket21 Dream Green 2014 Sweatshirt. In addition, if any of the Grand Prize Winners are unable to attend the Captain Planet Foundation Gala, the Grand Prize trip will be awarded to these winners in the order noted. “I dream of combining my passion of photography and animals to make a difference in the endangered species list. I don’t want live in a world where some species of animals don’t exist because of humans. If we teach and show what’s really going on, we can make a difference. We just need to adapt to what’s around us and use that to our advantage." Check out Trevor's ideas for incorporating beautiful photographs of endangered animals into a social media campaign. These winners will receive $150 and a Rocket21 Dream Green 2014 T-Shirt.